Pakistan is already on the FATF’s ‘grey list’, and India is trying to ensure the international anti-terror financing body comes down heavily on it. New Delhi: India hopes the Financial Action Task Force (FATF) will come down heavily on Pakistan in its efforts towards cracking down on terror financing, sources told ThePrint. 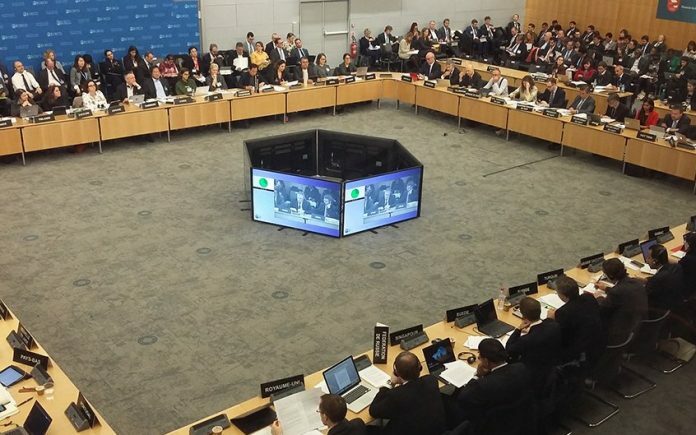 The concluding session of the FATF meetings takes place Friday in Paris. The meetings began on 17 February, days after a deadly terror attack killed 40 CRPF personnel in Pulwama, Jammu and Kashmir. The responsibility for the attack was claimed by Pakistan-based terrorist organisation Jaish-e-Mohammed (JeM). As a result of the Pulwama attack, India has doubled its efforts to get FATF to blacklist Pakistan for not effectively implementing agreements, especially the one on terror financing, sources said. The Paris-based FATF is an international body that is aimed at arresting global money-laundering and terror financing. Pakistan was put on its ‘grey list’ in June 2018, and was given a deadline of September 2019 to implement the conditions set by the FATF, failing which it might be placed on the ‘black list’. “Pakistan is almost in violation of FATF. It has not implemented the regulations with regard to terrorist financing. It has been very lax. We will take up the issue at the plenary tomorrow,” a senior official told ThePrint. The official said India, along with other countries, wants the FATF to ensure that Pakistan implements the rules, and that “there is a serious concern that Pakistan is far from it”. “Although there is still some time… They need to be accountable. There has to be some process in which they should be held accountable,” the official said. Sources also said India has been working closely with the US and the European Union in pressing for more accountability from Pakistan until it implements the rules completely. New Delhi, apparently, has also apprised FATF of financing terror outfits like JeM. The FATF has directed Pakistan to implement a 27-point action plan focussed on four key areas — terrorism financing risk assessment report, report of the customs department on cash couriers, implementation of UNSC resolutions, and inter-agency coordination. Being put on the FATF black list would mean Pakistan does not adhere to anti-money laundering and terror financing laws. If FATF puts Pakistan on that list, the country’s economy may suffer owing to downgrading of ratings.